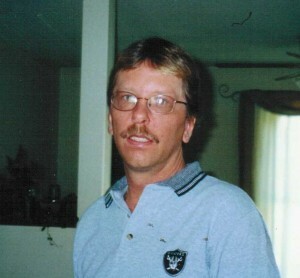 Eric G. Nelson, 49, of Warren PA died peacefully in his sleep Thursday morning, January 26, 2012 following a two year illness. Born November 9, 1962 in Warren to Sharon Berger and the late Norman W. Nelson, he had been an assistant chef at the Conewango Country Club. Eric was an outdoor enthusiast – enjoying canoeing and hiking Rimrock. He was an avid Oakland Raiders fan. He is survived by longtime friend and wife– Lori Nelson of Warren; a daughter – Ashlee E. Nelson, of Arlington, VA; a son – Justin M. Nelson, of Warren; two brothers – John and Brent Nelson, both of Warren; and three sisters – Lonnie Briggs and her husband Robert, of Warren, Linda Nelson, of Florida, and Jennifer Nelson, of North Carolina. Dear Sharon and family.. I was so shocked with disbelief when I got online to read the paper and discovered that Eric had passed away. I am so truly sorry for your loss. I had the pleasure of enjoying Eric’s fine cooking over this past summer. I had no idea he was sick. I’ll always remember him as a fine chef that he was . He worked years ago at Penn Glade rest with my Mother also. Words cannot express how deeply sorry I am. Please know you will be in my thoughts and prayers now and in the coming months. I got to know Eric a few years ago. We both worked at Kinzua Valley nursing home in the dietary department. I did not see Eric again until last last summer. We talked about working together at Kinzua Valley and got caught up with what he and I were doing currently. I glad that I had the chance to speak with him. He will be missed. My thoughts and prayers to his family and friends. Sharon and Family, Our thoughts and prayers are with you. We are so sorry. Lonnie,Chris and Brent I’m so sorry for your loss I just read it online or I would have been there in person for you all my prayers and thoughts to your family.